"Hello, my name is Thomas Thwaites, and I have made a toaster." So begins The Toaster Project, the author's nine-month-long journey from his local appliance store to remote mines in the UK to his mother's backyard, where he creates a crude foundry. Along the way, he learns that an ordinary toaster is made up of 404 separate parts, that the best way to smelt metal at home is by using a method found in a fifteenth-century treatise, and that plastic is almost impossible to make from scratch. In the end, Thwaites's homemade toaster—a haunting and strangely beautiful object—cost 250 times more than the toaster he bought at the store and involved close to two thousand miles of travel to some of Britain's remotest locations. 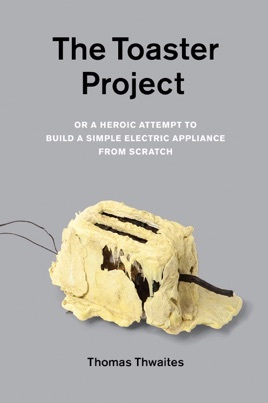 The Toaster Project may seem foolish, even insane. Yet, Thwaites's quixotic tale, told with self-deprecating wit, helps us reflect on the costs and perils of our cheap consumer culture, and in so doing reveals much about the organization of the modern world. 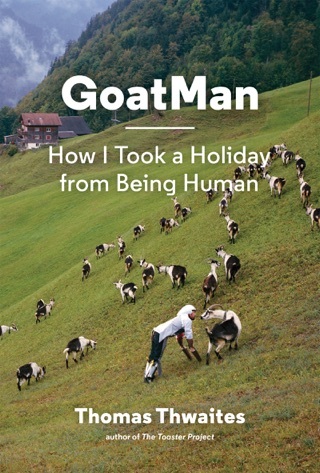 I have to say, this was an incredibly stupid book. I am a Ph.D. scientist, and was hoping for a diversionary exploration into the materials and manufacturing of a mundane household appliance (a la Mary Roach). Instead, I get this banal high-school level spouting. Like a stoner with his “you know what would be cool, man?” No scholarly insight at all. What a waste.